Studies consistently show that 90% to 95% of Medicare beneficiaries are overspending on their out-of-pocket health care costs. How is that happening? Generally speaking, most people don't understand their coverage and the choices they can make to maximize their benefits and minimize unnecessary spending. We are in the middle of Medicare's annual open enrollment period. It's the time to rethink your Medicare coverage selections and make more-suitable ones. Beneficiaries have until Dec. 7 to shop for new Medicare C, otherwise known as Medicare Advantage, and Medicare D pharmaceutical drug plans. Enrollment changes will take effect Jan. 1. Making the right choices can save thousands of dollars annually. Let's start with a very brief Medicare primer. The program has three distinct “parts.” Part A covers hospital care, short-term rehabilitation, skilled home care and hospice services. Part B covers outpatient health care including doctors, nurse practitioners, outpatient surgery, diagnostic testing and durable medical equipment. Part D covers most prescription drugs. All these parts pay only a portion of costs. Like most other health care insurance, Medicare has deductibles, co-payments, co-insurance and coverage exclusions that beneficiaries must pay themselves. The out-of-pocket costs for Medicare Parts A and B can be covered to varying degrees by a Medicare Part C or a Medigap plan. Many Medicare C plans also include Part D coverage. The specific medications covered and required co-payments vary widely among Medicare Part D plans, which use a tier system to categorize medications by out-of-pocket cost from highest to lowest. Not all plans are required to cover all medications. Two of the major factors in unnecessary spending are out-of-network doctors and other health care providers, and uncovered or costly medications. People often realize this after they have selected their plans and it is too late to switch. Some plans do not cover any out-of-network care or all types of health care services. People also need to make sure that plans cover as many prescription medications as possible at the lowest cost. All Medicare C and D plans release pricing, benefits and co-payment information every fall. As the saying goes, “The devil is in the details.” Many times, price increases are hidden in the out-of-pocket costs, such as how much a specific drug will cost next year or whether your doctor will be in-network. Do not assume that prices will stay the same or that you can't get more cost-effective coverage with another plan. You may be surprised to find that Medicare C and D plans vary down to the county level. Because there are more than 2,300 Medicare C plans and 1,400 Medicare D plans, determining coverage choices is complex and confusing. 1. Health care providers' names and contact information. 2. Medications, including the name as written on the container, the dose and how often the prescription needs to be refilled. Use that information as your shopping guide for Medicare. Medicare.gov is a good place to start to learn which plans are available in a particular area, how medications will be covered and which health care providers are in-network. While the site has fairly accurate information, plan details change frequently. Once Part C or D plan possibilities have been narrowed down, it is advisable to look directly at the plan website, or speak to a company representative to verify coverage details and total costs. 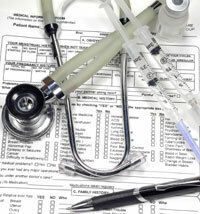 A consultation with an established Medicare broker also can be very helpful. You and your clients are now on your way to being smart Medicare shoppers and identifying the most comprehensive coverage at the best total price. Remember, it is not too late to find a better Medicare solution for 2015. But don't delay: Dec. 7 is the deadline to enroll in new coverage. Katy Votava is president of Goodcare.com, a consulting service that works with consumers and financial advisers on health care coverage. ‹ Can foreign-born spouse get benefits?